1. Demonstrates competency in many movement forms and proficiency in a few movement forms. Students will select physical activities that they have achieved a level of proficiency in order to maintain a level of vigor and duration. Demonstrates an understanding of biomechanics and range of motion as needed techniques to achieve proficiency in proper weight training techniques. 3. Exhibits a physically active lifestyle. Students will engage in a fitness plan in order to achieve a personal fitness goal. Students will evaluate and reflect on his or her activity and make any necessary changes to promote an active lifestyle. Students will establish motivation techniques to participate in an ongoing fitness and healthy lifestyle. Students will interpret the classroom experiment and make inferences about their physical activity levels. 4. Achieves and maintains a health-enhancing level of physical fitness. Students will create and implement a personal fitness plan. Students will self assess their progress in a fitness plan and make any necessary adjustments. 5. Demonstrates responsible personal and social behavior in physical activity settings. Students working in diverse environment will demonstrate team-building skills such as cooperation, active listening, sharing and contributing while completing a classroom assignment to include motivating and working with others to accomplish a common goal. 6. 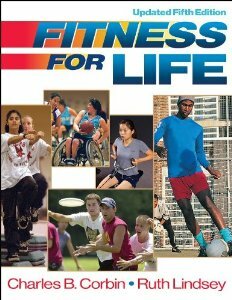 Demonstrates understanding and respect for differences among people in physical activity settings. Students will assess the needs for physical activity among all people. 7. Understands that physical activity provides opportunities for enjoyment, challenge, self-expression, and social interaction. Students will select activities they enjoy and reap the benefits of engaging in activity in a group setting as well as the personal health benefits.